Hugh Dunne, the Earl of Briarly, needs a wife, so his sister hands him a list of delectable damsels and promises to invite them and a few other gentlemen to her country house for what is sure to be the event of the season. 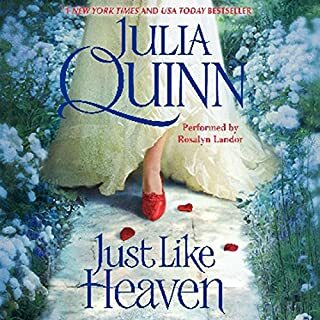 Best-selling author Julia Quinn flawlessly combines passionate romance with "pitch perfect humor" ( Publishers Weekly). Miranda Cheever has been blessed with many things, but great beauty is not among them. Still, when she meets Viscount Tuner, she knows she is meant for him. As the years go by, fate is as kind to Miranda as it is harsh on the Viscount. He's skeptical about love with good reason - but he may be falling for Miranda. 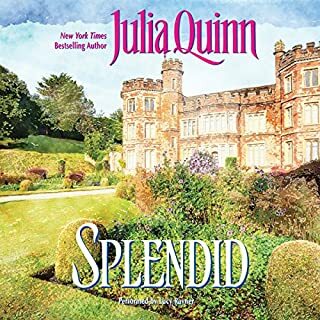 I think it loses something in the audiobook (don't know if it's the narration, or it needs to be abridged or what) but this is one of my favorite Julia Quinn books. Will I listen to again? Probably...I love Julia Quinn's humor and her characters. Dear Diary, Men are Dumb! Where does Secret Diaries of Miss Miranda Cheever rank among all the audiobooks you’ve listened to so far? Top 15. It's a great story of long time love, loss, and discovery. Throw in that Julia Quinn character banter. The way the main characters develop, it seemed like a natural progression without a rushed ending. The book shop. Miranda is an avid reader, and wants to purchase a book that is sold only in a man's bookshop. Well Miranda doesn't care, and she wants the book, and then the fun begins. 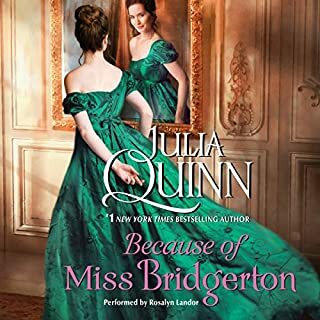 Follow this up with " what happens in london and "10 things I love about you" and re visit these great Julia Quinn characters. What did you like best about Secret Diaries of Miss Miranda Cheever? What did you like least? I enjoy Ms. Quinn's books, and I've read this book two or three times already. I was going on a long road trip and thought this would be great to have along for the duration. I could not stand the narrator! She's horrible in this! I don't think I will ever get her voice out of my head if I were to read the book again. Ugh. Who would you have cast as narrator instead of Jenny Sterlin? Pretty much ANYBODY else. I've had her on another audible book and she's not so bad. She's terrible for this book, though. If there are no other recordings out there, buy the actual book and read it. that voice was just... not good!!! 3. Ten things I love about you. A great regency story, being a modern woman I sometimes want to slap the characters for there actions, but remembering the time and place makes me realize how little choices woman have. Simple romance that had me grinning a few times and I will read the remaining two. I know this is a romance. But this story has so many funny moments, I seem to be laughing my head silly that I think people thought I was losing my head while I was listening to this book. It's a bit drawn out but it's a good listen/read. I thought this book was great! For once, the leading lady was not the perfect picture, but a real person that I could relate to. Turner was angry, but it was never depressing for me. It was interesting to see his process through this. The author explored the depth of both characters feelings and personalities and I came to like them both very much. I am a huge fan of the Bridgerton series, and I thought this was a unique and satisfying expression of her genre. This is my first one outside of that series and I can't wait for the next one! In the initial chapters, this book seemed to have potential. The characters had some depth, the story did not seem predictable, and the imagery did not seem contrived or hackneyed. My first impressions did not last. Quickly, the characters became paper dolls, and the plot and language seemed generated by a computer program. On the positive side, the excellent narrator makes the most of a limp tale. If you are looking for a formulaic romance that provides basic entertainment with no intellectual demands, you could do worse. If you're hoping for emotional depth or insight, look elsewhere. 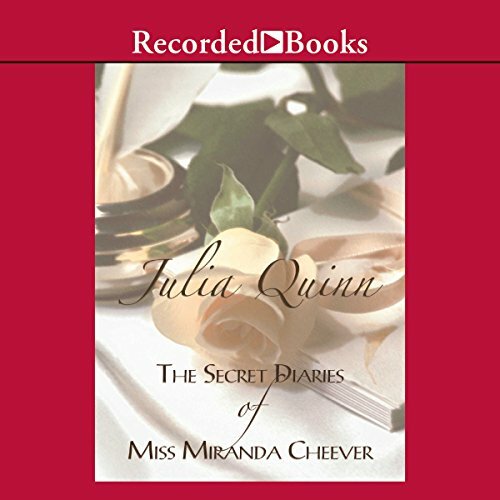 Would you consider the audio edition of Secret Diaries of Miss Miranda Cheever to be better than the print version? Yes because Jenny Sterlin does an amazing job bringing Miranda and Turner's friendship, tension and romance to life. 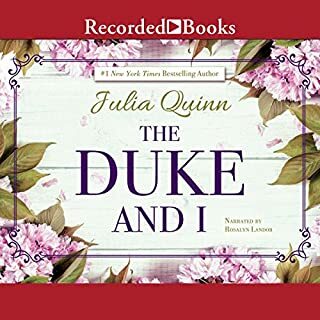 This was really well done and so far this audio proves to be my favorite Julia Quinn listen. I didn't know that this was part of the Bevelstoke series, having already listened to the others. I think I will re-listen to the other books because I enjoyed this audio so much. I really liked both Turner and Miranda. They were both very likable characters. She is smart, clever and head strong and he is bruised, sweet and reluctant ( a little slow on the love stuff but that only adds to the tension). What about Jenny Sterlin’s performance did you like? She is awesome. Loved her voice! A sweet, fast paced, clever and funny audio. Truly enjoyed this one! 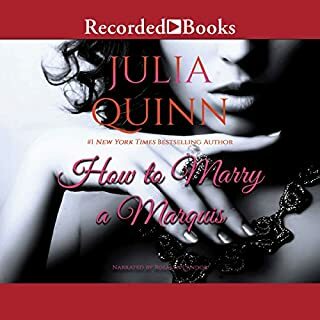 I have read ever book written by Julia Quinn and thought I would try the audiobook version of one of them for a change. This turned out to be a mistake in this case. 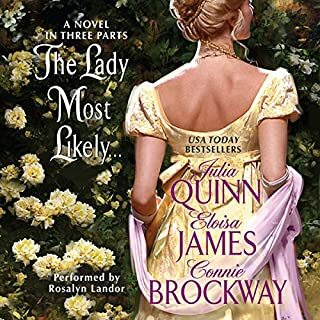 I remember at the time I read the book thinking that it was not one of Quinn's best but I did not have the desire to wring the heroines neck as i did when listening to this narrator. She managed to make most of the characters sound either insipid or annoying which is a talent in itself I suppose but not one that will make me want to download other books she has read. love Julia Quinn's work but this male lead's manipulation, patronisation and power plays turned my stomach.